Finally Nokia Lumia 920 comes to India. Preorders open? 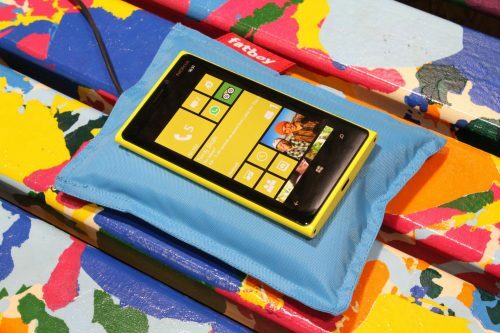 Looks like the much awaited Nokia Lumia 920 is finally going to enter the Indian market. While playing around with Nokia’s websites, just noticed that the Preorder/Prebook page is now open for Indians. On the prebook page, Nokia is collecting information from the interested buyers and they will be the first ones who will be able to get their hands on the device as soon as it launches. Together with another info from Flipkart, who replied to me stating that Lumia 920 will be available with them in the last days of November, it is quite obvious to say that the phone will make way to the Indian market very soon. You can find the exact reply from Flipkart below. I also contacted Nokia’s CEO about the launch in India and he replied that “We are not leaving India and it will be here very soon”. @singh5663 The 920 should be available with us in the last week of November. Will get back to you on the 820. With HTC’s Windows Phone series already available here and Samsung just about to launch its Windows Phone powered Ativ smartphone, its high time that Nokia should start selling its new Windows Phone devices in India. Unreliable information, cannot be true, According to inside contacts from my side via Nokia Dealers, Nokia L920 is not coming to India this year, it will Launch in Januray, 2013 !